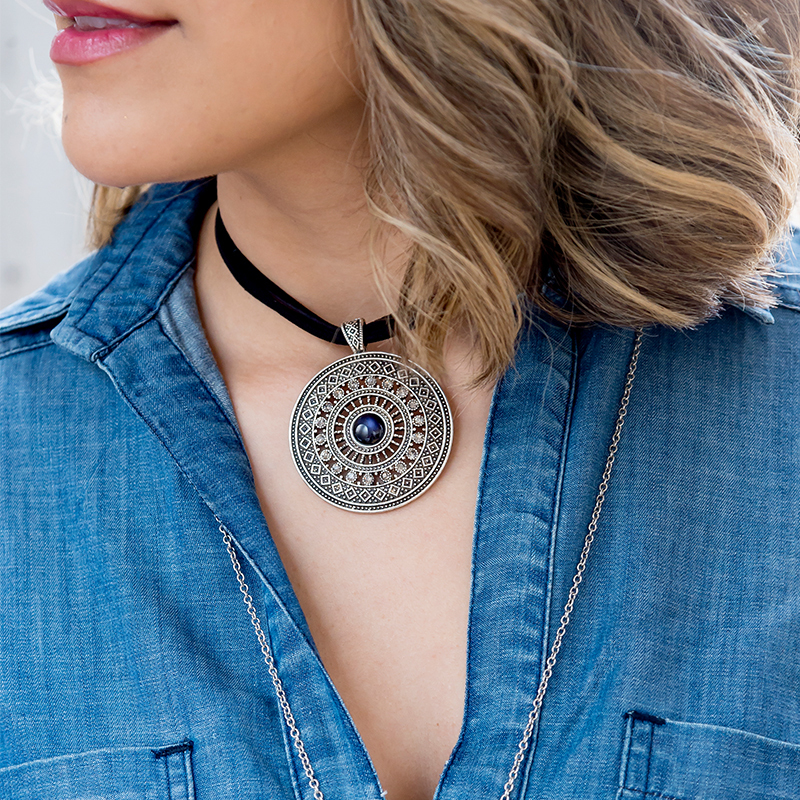 A row of heather-grey crystals surrounds a center, deep denim-blue cabochon. 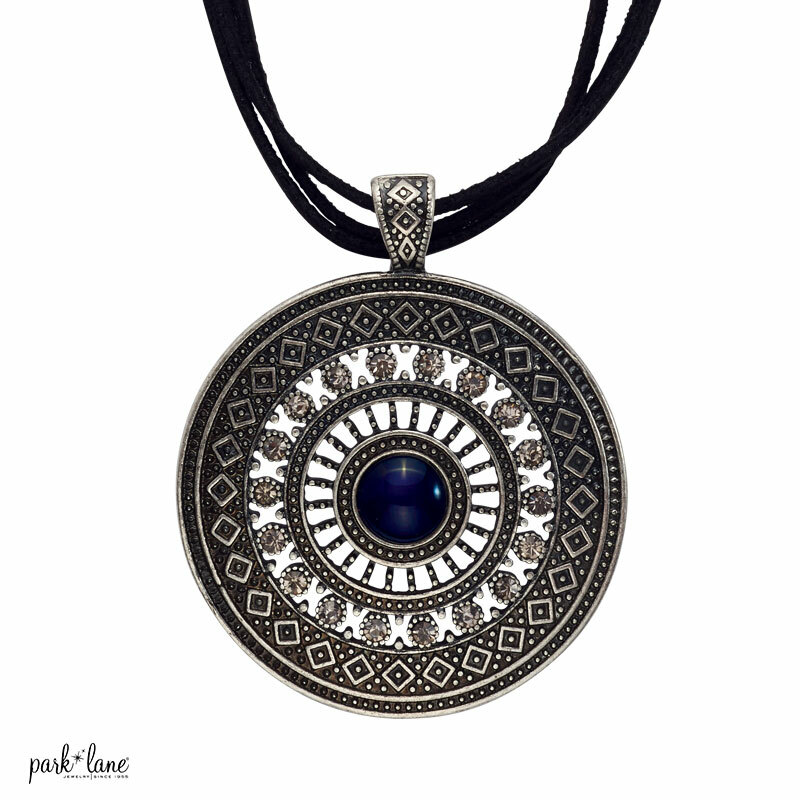 The removable antique silver tone pendant makes this a 2-in-1 necklace. 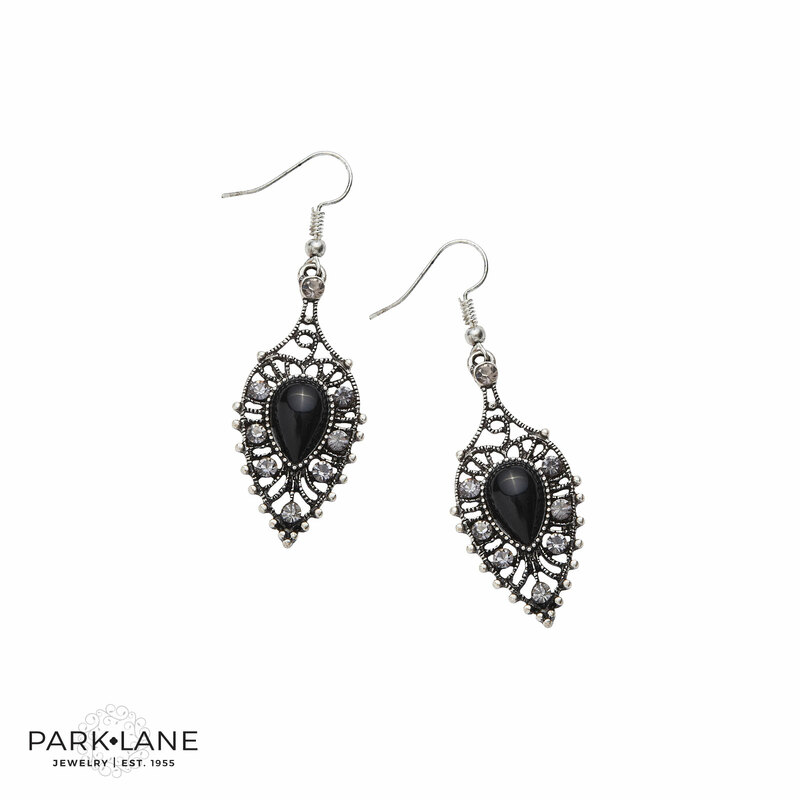 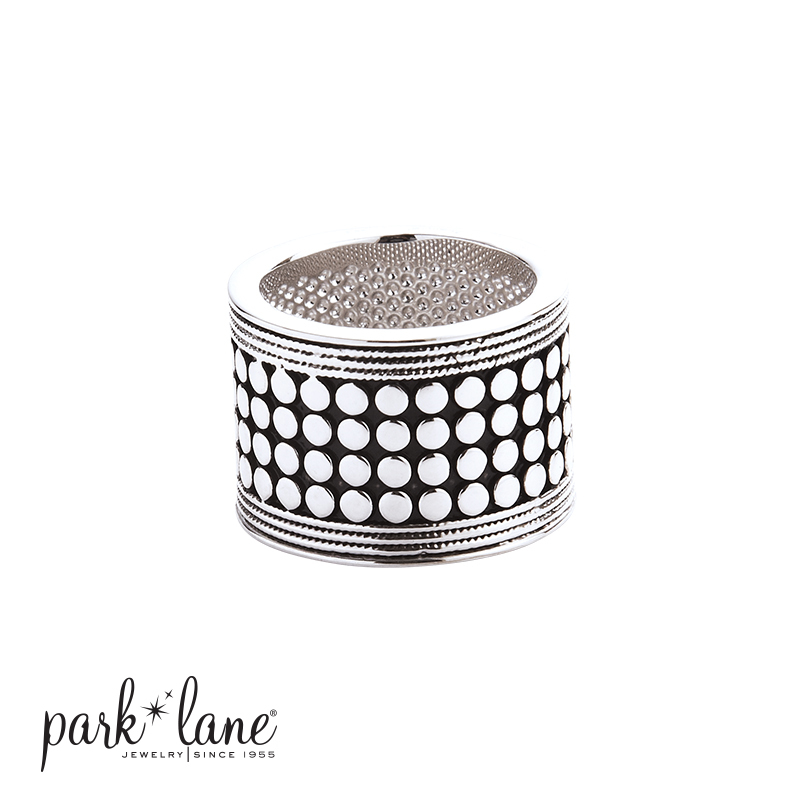 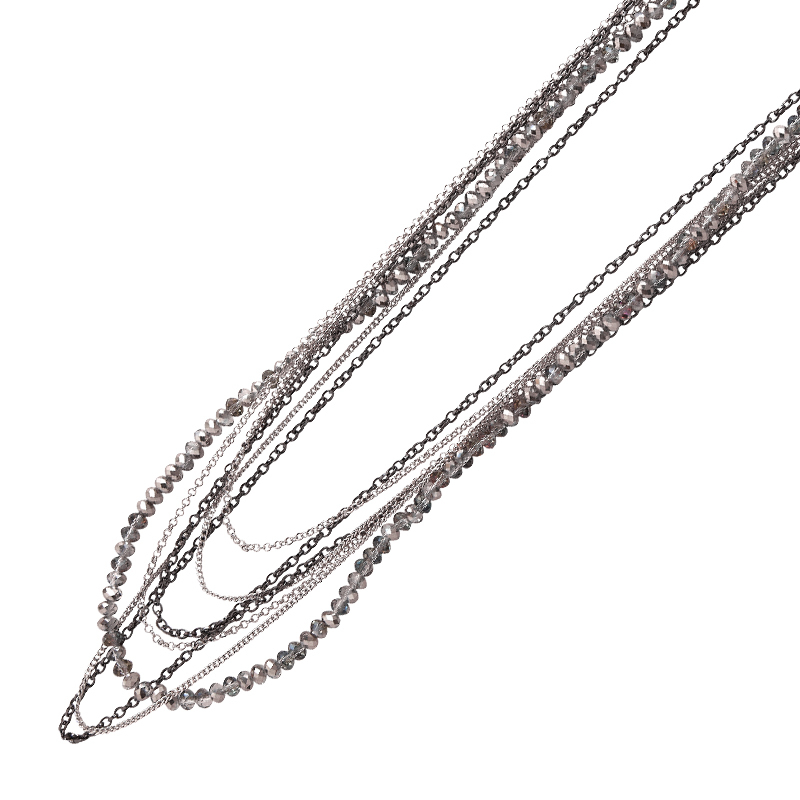 Attach the pendant to Park Lane’s silver tone chain necklaces for a completely different look.